The watch industry has gotten a new smart watch at Premium level. 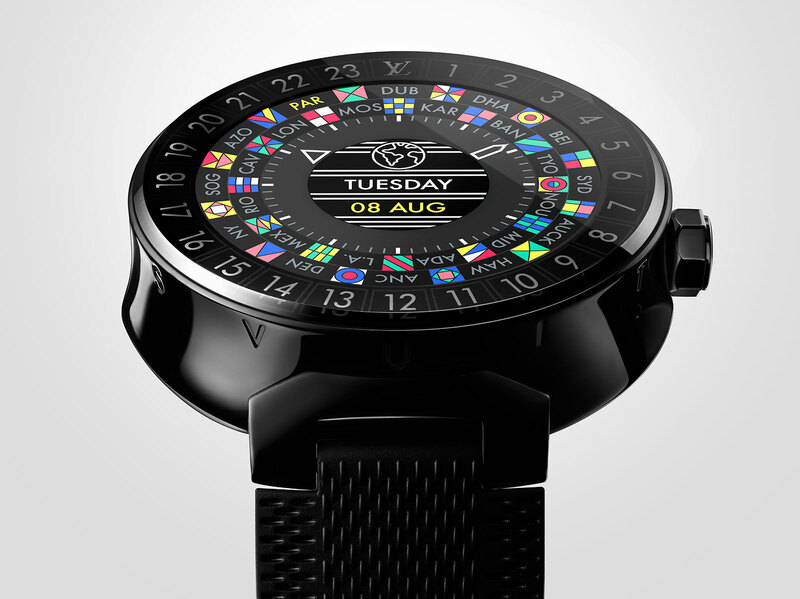 According to the latest news from Louis Vuitton, the famous luxury brand’s iconic collection Tambour will feature a smart watch. Smart and connected watches, which have become popular markets of recent years, are also the subjects of a break-out competition between brands. A new luxury brand is included every day in this new market race. TAG Heuer, under the same group as Louis Vuitton, announced its first smart watch two years ago. 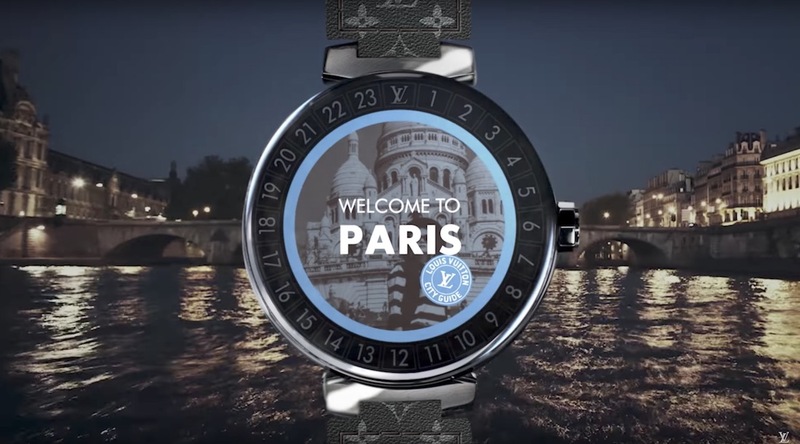 A year later, when TAG Heuer presented the face lifted version of its highly acclaimed Connected Modular 45 model, the sister brand Louis Vuitton announced its smart watch. The new model comes in a 42mm diameter case. With a total height of 12.55mm, the case is perfectly sized for a modern smart watch. The front face of the model features a 1.2 "touch AMOLED display with a resolution 390x390p. Different interfaces are available such as the Tambour Collection timepieces’ GMT and the classic three-hand models. 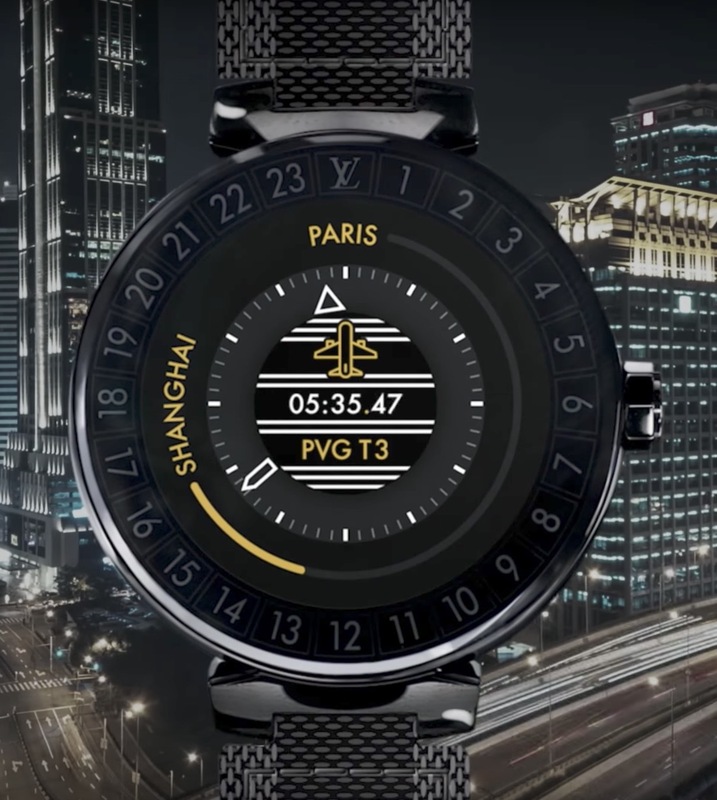 The Louis Vuitton Horizon model allows you to use all of the functions that the Samsung Gear or Apple Watch on the market can do (notifications, fitness timing, alarm, world time ...) thanks to the Android Wear operating system. LV has added some special applications. "Louis Vuitton City Guides" allows you to access hotels, restaurants and shops around you, and "My flight" application allows you to view your flight information. The new model is powered by 512MB of RAM, 4GB of flash storage and a 300mAh battery. The watch comes with Android 2.0 operating system, Bluetooth 4.1 and Wi-Fi 802.11b / g / n connections. You can also answer the calls with the microphone on it. 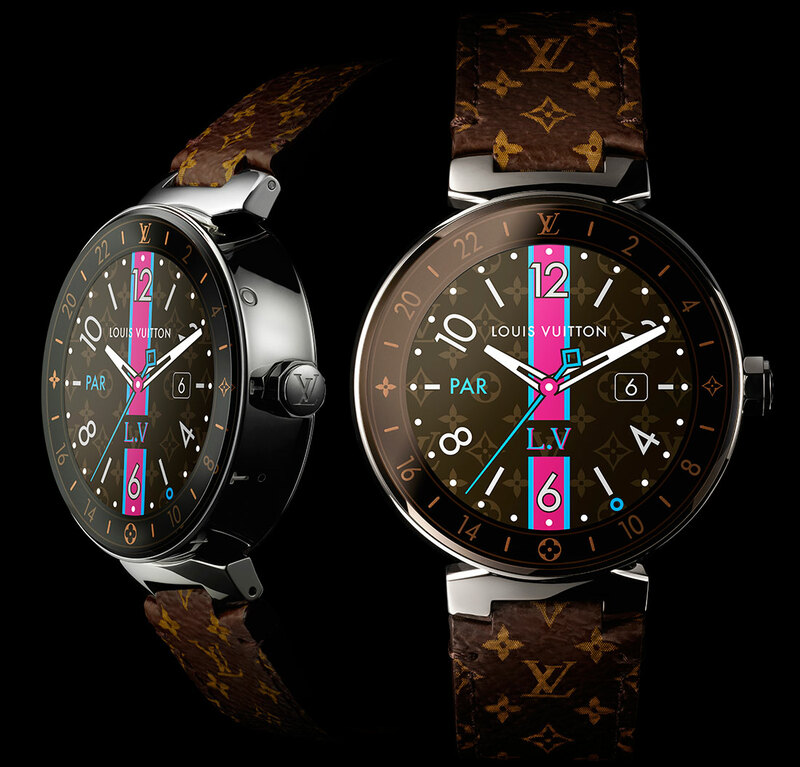 Louis Vuitton Tambour Horizon Smartwatch can be purchased with various leather strap options featuring the quick strap change system. 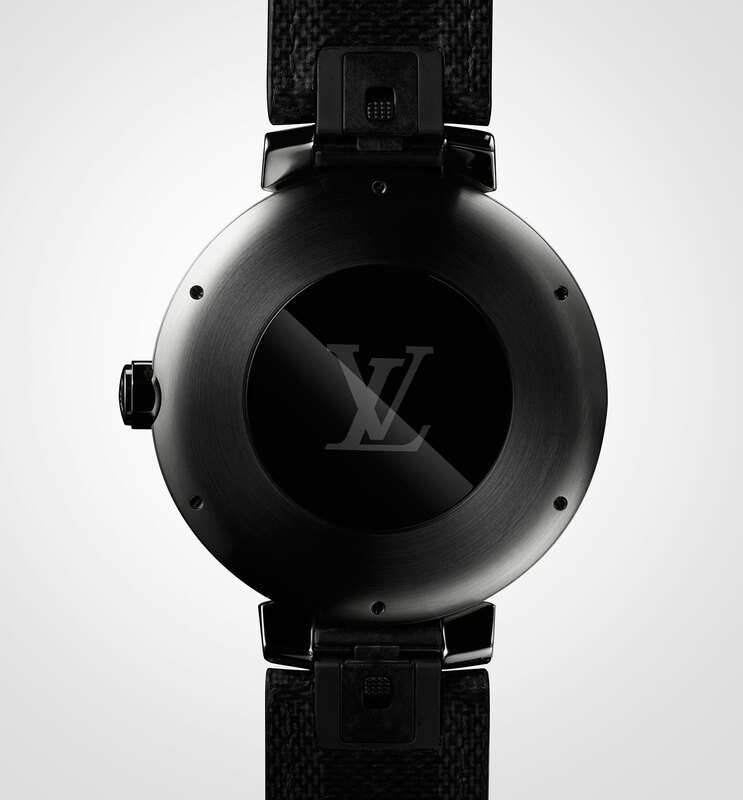 Louis Vuitton Tambour Horizon model will be available at prices starting from 2450 USD. Extra straps will be offered from $400 to $800$800. For more information, you may visit the Louis Vuitton website.